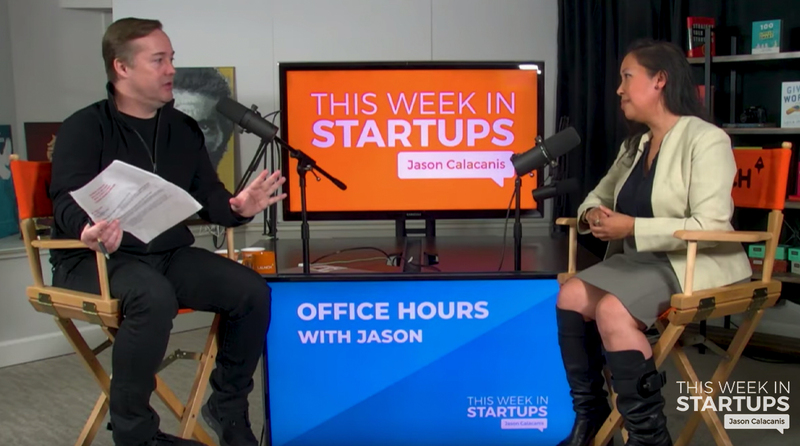 0:47 — Jason explains how office hours with Jason works. 1:16 — Ahva Sadegi, Co-founder & CEO of Symba: How do I position myself to be successful in investor meetings as a young, minority woman? 8:28 — Jason thanks sponsor Hello Monday. Find Hello Monday on Apple Podcasts or wherever you listen to podcasts. 10:08 — Ahva Sadegi, Co-founder & CEO of Symba: How do you ask for funding from companies that normally don’t allocate a budget for the specific area? 17:19 — Jason thanks sponsor LinkedIn. Claim a $50 credit toward your first job posting:linkedin.com/twist. 19:44 — Minda Aguhob, Founder of Vytality Health: How do we build a community for our social platform while also building our tech team to support it? 36:29 — Jason thanks sponsor Squarespace. Visit squarespace.com and enter offer code: “twist” to save 10% on your first purchase of a website or domain. 38:26 — Jeff Han, Co-founder & CEO of TownSquare: As a resource-constraint startup, should we focus on adding more features for user-base or adding team member focused on growth?